So your birthstone is peridot. “Pear-a-doe”? “Pear-a-dot?” Actually, both are correct—but I digress. More importantly, what exactly is this gorgeous apple-green stone? Often associated with light, this stone was referred to as the “gem of the sun” by the ancient Egyptians. What better stone to represent the sunny summer days of August? The word peridot comes from the Arabic “faridat,” which means “gem”. 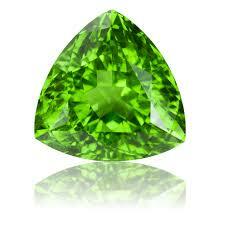 In fact, some historians believe that Cleopatra’s famous emerald collection might actually have been peridot. Most peridot is formed deep inside the earth and delivered to the surface by volcanoes. It is naturally mined all over the world, from Alaska to Australia. A much rarer form of this stone—unlikely to be seen in a retail jewelry store—actually came crashing to the earth via meteorites. Often confused with other similarly-colored stones such as Emerald or Topaz, Peridot is rather fragile with only a 6.5 rating on the Mohs hardness scale. As such, it is not a great choice for rings or bracelets (Green Apple Diamonds are a suitable replacement.) However, it does make for an exquisite pendant or set of earrings, with the larger stones having more color saturation. 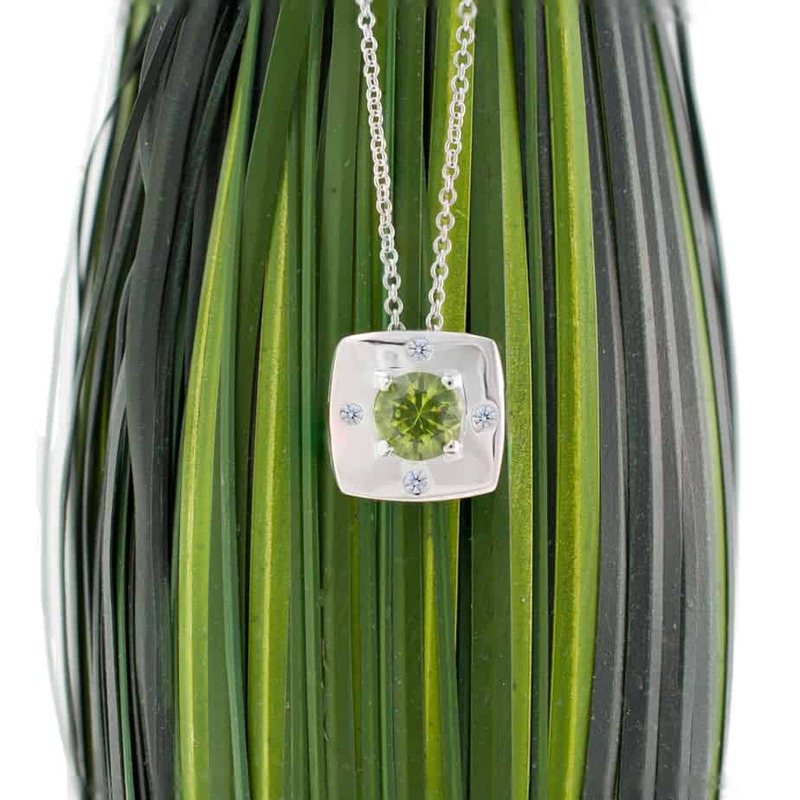 Peridot’s elegant and unique color has little compromise, and has created the life-force in some of my favorite mother’s jewelry pieces.